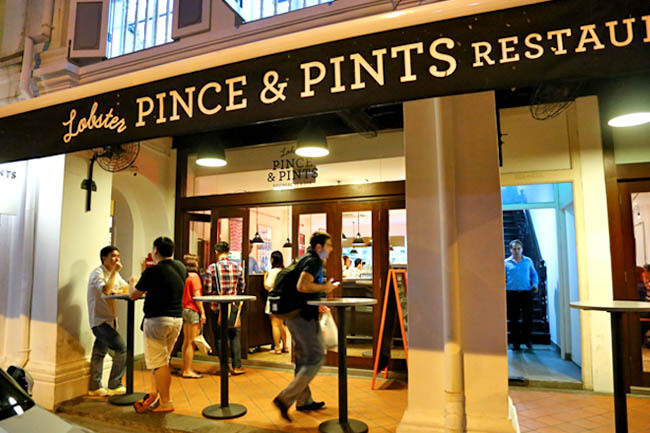 Pince & Pints’ success is the fruit of correct timing, location, great marketing efforts, and serving food which is in trend. 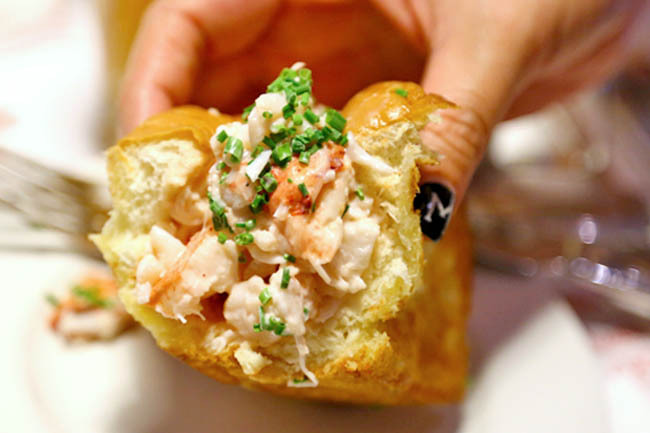 Foodies will remember the year when lobster roll was all in the rage, and Pince & Pints was one of the front runners of serving chunky lobsters on soft bread rolls. 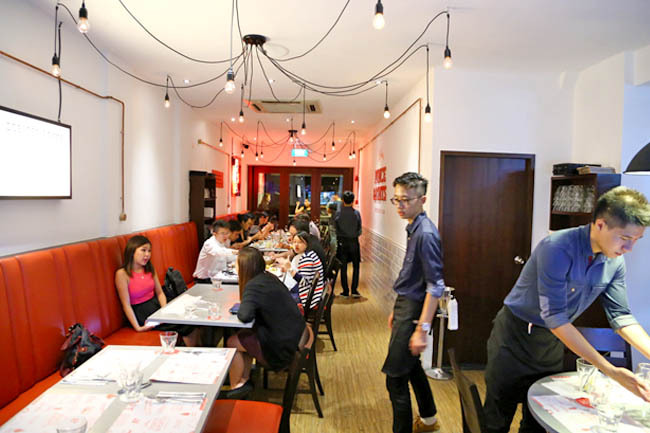 Some say “over-rated” but the restaurant continue to attract long queues and wait, which I hear can be anything between 30 minutes to 2 hours. No reservations allowed, by the way. 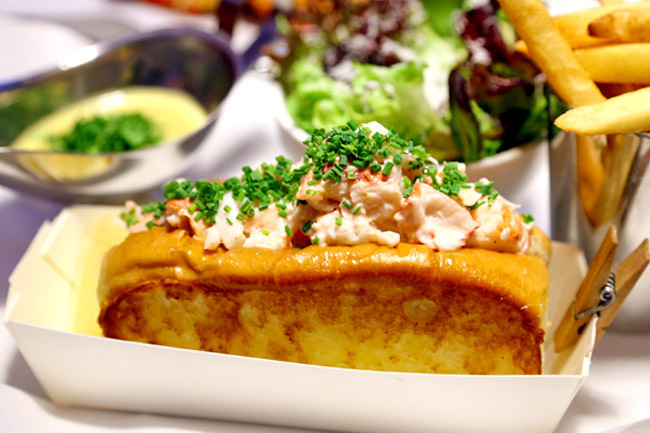 Rather than selling everything under the sky, Pince & Pints’ main offering are just three items – Lobster Roll Grilled or Steamed Live Lobster, and Chili Lobster with Mantou, each priced at $58++ (effective from 1st May 2015). Note: Price increase is due to the shortage of lobsters due to volatile weather conditions and the rising demands in Asia (especially China). 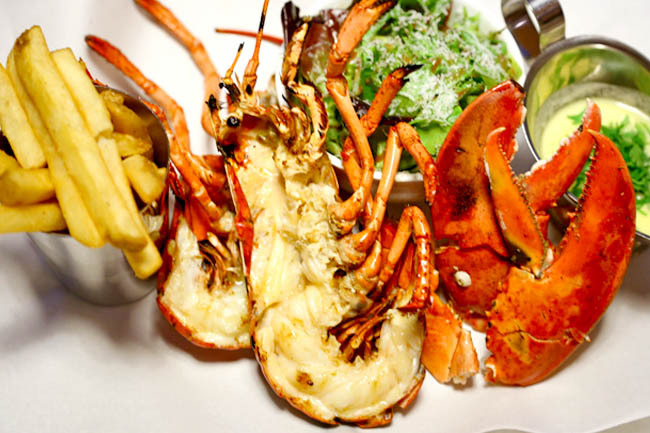 Lobster prices are at its highest in the last 50 years. Our favourite item, perhaps also because we tried many ‘blah’ lobster rolls (usually because portions are stingy) offered by other casual restaurant. The bread roll sourced from a local traditional bakery had this buttery-fragrance, a slight crisp after being pan-fried and was still soft and fluffy. The lobster servings were generous, and you could taste the natural sweetness of the meat. I could have this anytime again, well, if not for the wait and price. Lobsters served here are flown in direct from Boston, Maine and Canada twice weekly. If you are the kind who just wants to appreciate the freshness, then go for this. On the flipside, the meat was kind of flat-tasting, and felt needing some seasoning or a more varied side other than fries. My dining companions did not like this dish as much, only because sauce was too rich and tinted to the sweet side, which ‘covered’ the taste of the lobster. 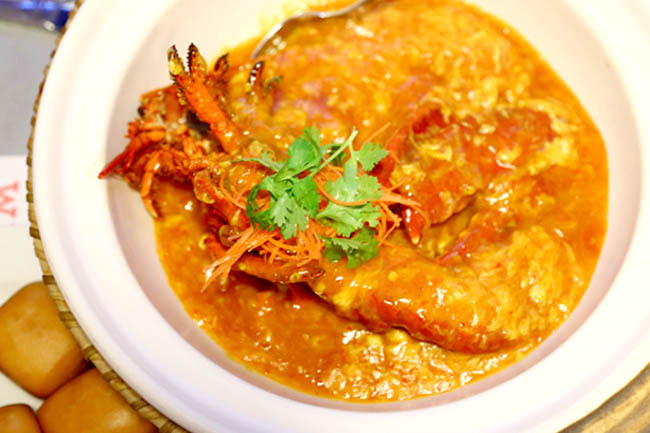 Plus, if you are comparing this to your local zhi char stalls, this Western-maybe-local dish lacked ‘wok hei’. Still, I was still happily sweeping the bowl clean with the fried mantou. They gave a lot a lot of sauce. 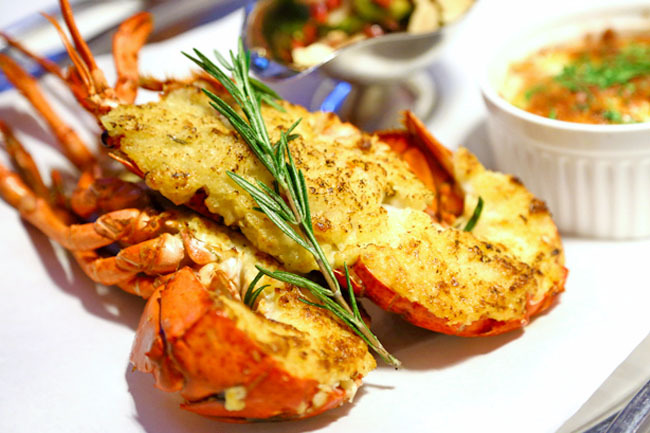 The restaurant continues to offer festive specials, from the Lobster Thermidor during the Christmas season, to XO Lobster with Glass Noodles ($58++) specially created for the Lunar New Year. 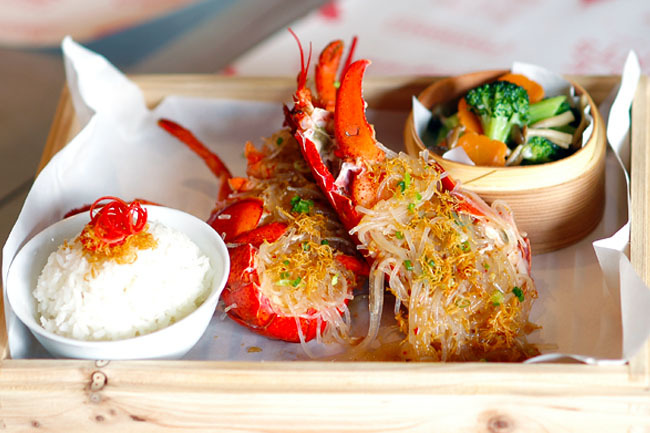 Wild-caught lobster topped with glass noodles (tang hoon) that would soak up rich broth which made by stir-friing with homemade XO paste, then served with a bowl of fragrant rice and stir-fry broccoli, carrot, brown shimeji mushroom and celery. Overall, a good meal. We were also pleasantly surprised with the attention service, and knowledge of the service staff who were able to answer our requests promptly.